Earlier I have talked about some good low budget graphics cards and now in this post I will be mentioning some of the best mid range graphics card for pc gaming. Mid Range Graphics Cards offers a great mix of both price and performance. They are the preferred choice of most of the Gamers as they deliver great performance in games and are not too expensive either. If you are a serious gamer then you should go for mid-range graphics card otherwise you would not be able to enjoy playing latest games. You can run the latest demanding games on mid-high settings on decent resolution with these graphics cards. Price of mid range graphics cards would be in the range of Rs. 7000 to 14000/- ($115 – $230). Below is the list of some good mid range graphics cards from both Nvidia and AMD/ATI. Zotac Nvidia GeForce GTX 650 1GB GDDR5 – An entry level mid-range graphics card with good specifications and offers decent performance. It can run the latest games on medium graphics settings at decent resolution. 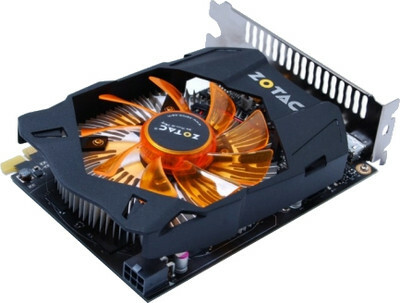 Zotac Nvidia GeForce GTX 650 Ti 2GB GDDR5 – It is the upgrade version of the GTX650 card and offers considerably more performance that normal GTX650. GTX650 Ti has got double the number of CUDA Cores than the plain GTX650. The cuda cores or stream processors are the powerhouse of a graphics card. More the number of cores the better its performance will be. This graphics card can run the latest games on medium-high settings on decent resolution. 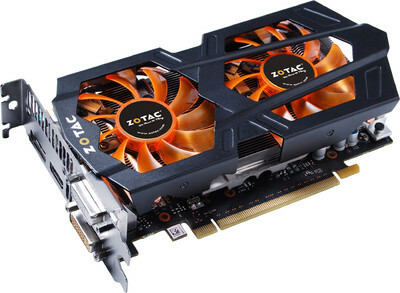 Zotac Nvidia GeForce GTX 660 2GB GDDR5 – A very good and powerful mid range graphics card. It has got a whopping 980 MHz CUDA Cores and 192-bit memory interface that delivers amazing performance in games. It can run the latest games on high settings on good resolutions with anti-aliasing turned to low or off. This card has got dual fans for better cooling and is the most powerful of the entire mid-range nvidia graphics card mentioned here. 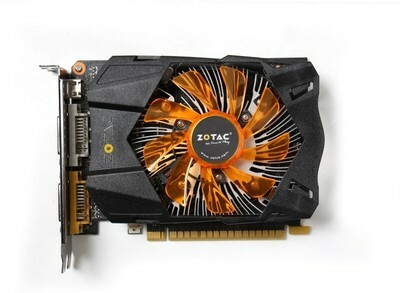 Zotac Nvidia GeForce GTX 750 1GB GDDR5 – This Card is better than GTX650 and the price difference is also minimal between the two. It can run latest games on medium-settings at decent resolution. 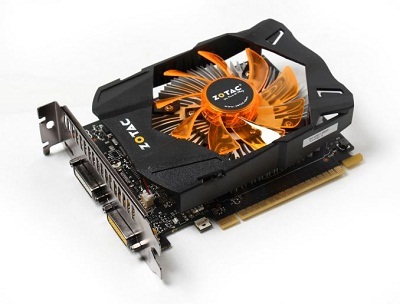 Zotac Nvidia GeForce GTX 750 Ti 1GB GDDR5 – A very good mid-range card with decent specs but less powerful than GTX660. A well balanced graphics card having the right mix of price and performance. It can run the latest games on mid-high settings on good resolution. 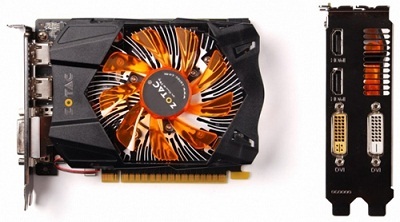 Sapphire AMD/ATI Radeon R7 250 2GB DDR3 with Boost – An entry level mid-range graphics card from AMD/ATI. It can run the latest games on low-medium settings on decent resolution. 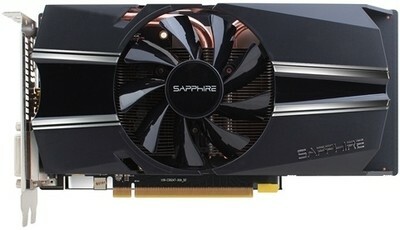 Sapphire AMD/ATI Radeon R7 260X 2GB DDR5 – A very good graphics card that offers great performance. The only thing bad about this card is that the memory interface is only 128-bit. It can run the latest games on medium-high settings on high resolution. 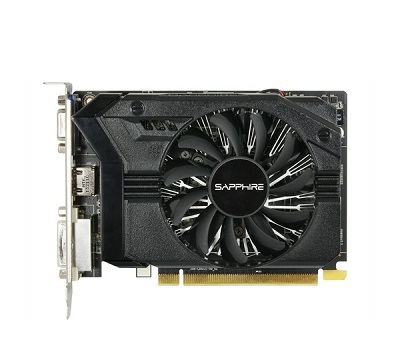 Sapphire AMD/ATI Radeon R7 270X 2GB DDR5 with Boost OC – This is the most powerful of all the Nvidia and AMD/ATI mid range graphics cards mentioned here. This card has got dual cooling fans and it can run the latest games on high settings on high resolution. Note: Cuda Cores for Nvidia and Stream Processors for AMD/ATI are different names for Pixel Shaders in the Graphics Cards. Hello Akshat. I want to buy a decent graphics card for gaming within the range of 10k. I live in kolkata and here the price of Zotac Gtx650ti 2 GB is around 11,500. and u have said R7260x 2 GB is also good and its cost here 10500.But u have also said its memory interface is bad. please explain the memory interface and suggest me which one should i buy? Both these cards have 128-bit memory interface. Greater the memory interface the more the bandwidth it will provide, thus memory will perform faster and better. Here the memory clock of Radeon R7 260X 2GB DDR5 is more so its memory bandwidth will be more as both the cards has same memory-interface. So i would suggest you to go for Radeon R7 260X 2GB DDR5. You are a little wrong over here maybe coz you took all your statistics from a site like flipkart. The 650ti is a 192bit GPU based on the Kepler architecture whereas the r7 260x is a 128bit GPU based on the GCN architecture. The 650ti is a lot better in terms of gaming performance with 144.2 GB/s higher memory bandwidth the bits that you are counting over here don’t come into play as the 650ti has a bigger chip with more render output processors 24 to just 16 of the 260x. All the higher clock speed is useful when its a 3D intensive task which a game is not so for gaming its not better than the 650ti. Please make the rightful adjustments accordingly. I am totally right over here and i have not taken any spec from flipkart. The thing is your have some confusion regarding the gpu interface and memory interface. Here i am talking about memory interface which is 128-bit for GTX 650Ti and not 192-bit. Check this link for more proof http://www.geforce.com/hardware/desktop-gpus/geforce-gtx-650ti/specifications and i want to clear that all GPU of graphics card have 256-bit (or may be more in some cards) architecture. Even the Geforce 3 and Geforce 4 cards had 256-bit architecture. There is huge difference between GPU and Memory architecture. Also the bandwidth is more important than the clock speed and for your information there is formula involving memory clock speed and memory bus width to calculate memory bandwidth. Bandwidth, bus width and memory clock speed are interrelated to each other.And for the last part Radeon R7 270X 2GB DDR5 with Boost OC can easily outperform GTX 650Ti in most of the games and benchmarks. If you don’t believe then you try both the cards and see it yourself. Nice share. You have listed some amazing graphics cards here. 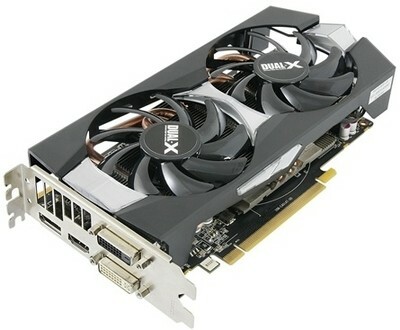 I am using Zotac Nvidia GeForce GTX 650 Ti 2GB GDDR5 and it is one of the best graphic cards in this price range.